On Monday the 14th of September His Holiness the Dalai Lama visited Oxford for the formal launch of the Dalai Lama Centre for Compassion. Following a press conference at Magdalen College, the Dalai Lama arrived at Rhodes House for an event with local school children. His Holiness then addressed the Fellows of the Dalai Lama Centre and engaged in a discussion about the need for ethical education in contemporary society. In the afternoon an audience of two hundred heard His Holiness speak about how his remarkable life has formed his views on the crucial importance of compassion and related values. 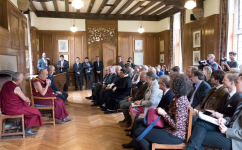 His Holiness emphasised the potential of academic research to further our understanding of basic human values, describing Oxford as a ‘nerve centre’ in the body politic. During a wide ranging discussion with Alex Norman, the Director of the DLCC His Holiness covered topics spanning early memories of family life, his experience of Chinese communism, and his views on old age and death. His Holiness commended the crucial work of the DLCC and expressed his keen hopes for its future success. In the coming days he will continue his visit to the United Kingdom with events in London and Cambridge. 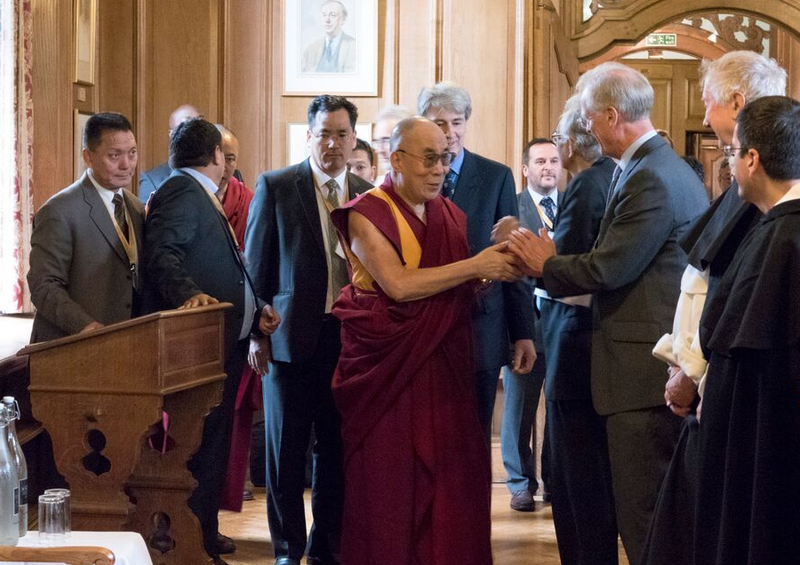 His Holiness the Dalai Lama meets Fellows of the DLCC in Oxford. Photograph by Keiko Ikeuchi. 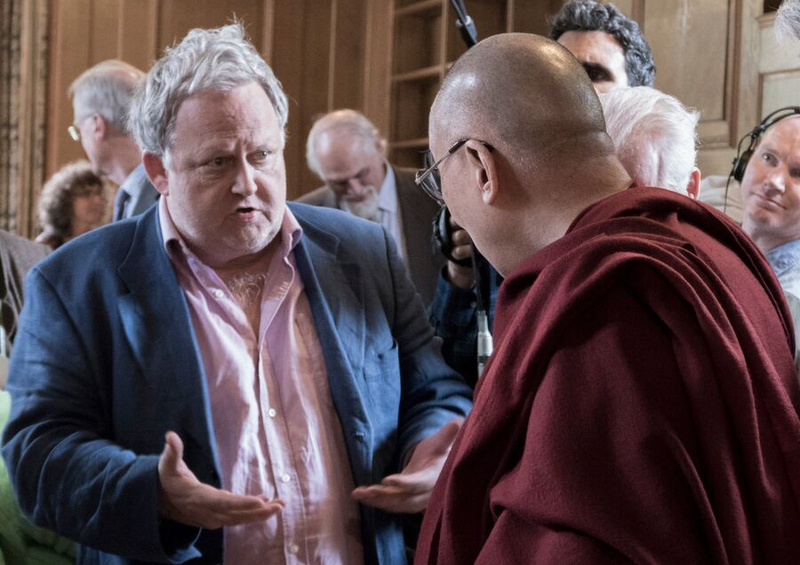 DLCC Fellow, Stephen Priest in discussion with His Holiness the Dalai Lama in Oxford. Photograph by Keiko Ikeuchi.